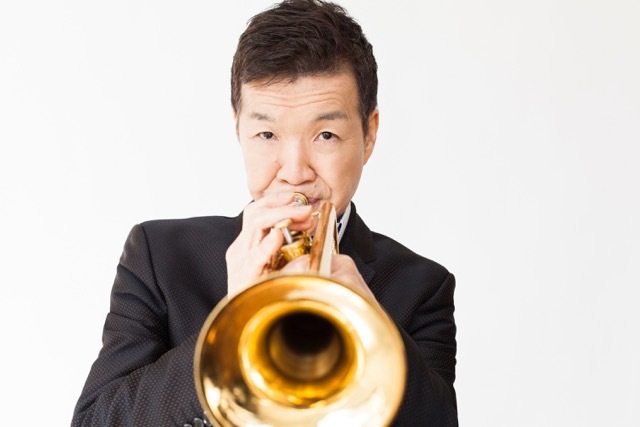 ReNew marks the 16th leader date for Japanese trumpeter Shunzo Ohno, whose evolving proficiency and clarity of tone are matched by an emotional undercurrent all his own. Built around the theme of recovery in the wake of recent natural disasters, among them the 2011 Tōhoku earthquake and tsunami, this album fuses Ohno’s diverse influences into one melodious canvas, across which no single brushstroke is wasted. Each track sharpens a personal edge, with themes ranging from friendship and unity to family and ethnic heritage. On that last note, however, there is an odd misstep to the album’s gait in the form of its highly praised “Musashi.” Named for Miyamoto Musashi, the 17th-century philosopher-samurai immortalized as Japan’s most legendary warrior, the song was grand prize winner of the 2013 International Songwriting Competition—and, from a technical standpoint, rightly so, especially in the present re-arrangement, boasting the beat science of tabla player Ray Spiegel over a firm bass line. The real jewel, though, is rapper George Yamazawa, who works through a complex psychological spectrum toward resolve with the swagger of a true wordsmith. That said, the source message contradicts the grander scheme of the album’s politics, as Musashi himself, especially toward the end of his life, advocated a total detachment from worldly concerns that shunned the very allegiances to love and community so central to Ohno’s affirmations. In the same way that Musashi’s The Book of Five Rings has, along with Sun Tzu’s The Art of War, been repackaged by wanton business strategists as a method of gaining social power and influence, this song obscures the fact Musashi was a fierce advocate of self-negation. (A more realistic outcome of his values in modern life can be found in Jim Jarmusch’s cult favorite, Ghost Dog, in which self-sacrifice emerges as inevitable when such ideology is taken to its higher forms.) All the more props, then, to Yamazawa for trying his best to twist misrepresentation into practical armor for today’s world. It’s not that samurai ethical codes can or should not be deployed for personal gain, but that one should at least be aware of their origins. In the absence of words, “Tairyo Bushi” comes across as the brighter cousin of “Musashi,” and is buoyed by touches from master percussionist Cyro Baptista. Added keyboard textures make for a retro sound palette, on which Ohno remixes this Northern Japanese folksong with due respect. Yamazawa deepens the heritage feeling in “Lea’s Run,” a song for one of Ohno’s daughters. In this ode to kinetic youth, Yamazawa shines like a bird soaring over the rhythm section’s soulful landscape, while Ohno wields silvery lines like talismans of paternal affection. It’s just this sort of slickness—born less of post-production than of being in the moment with trusted musicians— that characterizes opener “Easy Does It.” As also in “First Step” (another tune inspired by the bandleader’s progeny), guitarist Paul Bollenback engages drummers Billy Drummond and Jerome Jennings in solid ether. But the title track’s down-tempo turn is where the heart and soul are at. Bassist Ed Howard is given free rein in this atmospheric shape-shifter. The album’s mainframe bassist, Buster Williams, offers up “Song for Sensei,” the only non-Ohno tune of the set and which pays tribute to Williams’s spiritual mentor Dr. Daisaku Ikeda with triumphant cool. “Alone, Not Alone,” penned in the immediate wake of the above-mentioned tsunami, begins with the solitary trumpet before massaging the band into a relaxed muscle of evocation. This is Ohno at his purest, playing with an intimacy surpassed only by the reprise of the title cut which closes out the album alongside daughter Sasha on cello. Those looking for music that rides the line between the technical flourish of a Chris Botti and the bite of a Nils Petter Molvær need look no further, for this refresher course in reflection is, despite its brief lapse into cultural appropriation, proof positive that sometimes cause matters more than effect. Track Listing: Easy Does It; ReNew; Song for Sensei; Musashi; Alone, Not Alone; Tairyo Bushi; Lea’s Run; First Step; ReNew Reprise. Personnel: Shunzo Ohno: trumpet; Buster Williams: bass; Cyro Baptista: percussion; Billy Drummond: drums; Jerome Jennings: drums; Paul Bollenback: guitar; Ed Howard: bass; Clifford Carter: keyboards; Ray Spiegel: tabla; George Yamazawa: spoken word; Sasha Ono: cello; Ira Coleman: bass.